Provide comfort for the family of Edward Reed with a meaningful gesture of sympathy. Edward E. Reed, 81, of East Granby, beloved husband of Betty Jane (Higgins) Reed, died Monday, April 1, 2019 at Hartford Hospital. He was born July 24, 1937 in Newfield, NJ, son of the late Earl and Eleanor (Falvey) Reed and had lived in Apple Valley, MN and Tacoma, WA prior to moving to East Granby 5 years ago. Ed attended college, after serving in the Army National Guard. Mr. Reed was the Vice President of Facilities for Weyerhaeuser for many years prior to his retirement. He was a member of St. Mary’s Church in Simsbury, prior member of the Board of Directors of the Minnesota Law Enforcement Memorial Association and President of the Chelsea Common Condominium Association in East Granby. Ed could fix anything and will be a much-missed handyman. He enjoyed working with his hands and enjoyed all things construction or mechanical. He was an avid reader of biographies and history, especially anything related to WWll. He was an avid fan of airplanes and flying, and enjoyed the Simsbury Car Show and Fly-in. In addition to his loving wife of 65 years, he is survived by his two daughters, Alice Wildfong of Saginaw, MI and Katherine Estell and her husband Andy of Simsbury; his grandchildren, Richard Wildfong, Jr. and his wife Katya, Travis Wildfong, Farah Page and her husband Jae and Zachary Everett; his great grandchildren, Anastasia Jade, Isabella Jade, Jae, II, Anthony, Xander Kole, Ari Lucille and Kloee; two step-granddaughter Lauren and Katie Estell; his sister-in-law, Michael Reed; his nieces, Linda Buras, Nancy Reid and Lisa Reed and his great nephew, Andrew. 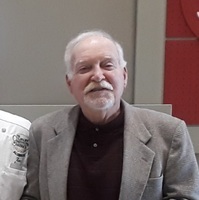 He was predeceased by his son, Edward E. Reed, Jr., his brothers, Bud, Raymond, David and Richard, his sister, Ann Marie Reed and a son-in-law, Richard Wildfong. Suite 100, Washington, DC 20004. Please visit Ed’s “Book of Memories” at www.vincentfuneralhome.com for online tributes. Donations are being accepted for: NATIONAL LAW ENFORCEMENT OFFICERS MEMORIAL FUND INC. Provide comfort for the family of Edward E. Reed by sending flowers.